Timothy Haahs & Associates, Inc. (TimHaahs) is pleased to announce the addition of Casey Jones to our team. Casey will serve as Vice President, leading the firm’s efforts in the areas of parking planning, access, and mobility. Casey is a premier parking industry expert, with over 23 years of experience in municipal government, higher education, and healthcare. His expertise and leadership will be an asset as TimHaahs seeks to expand our national presence, as well further enhance our ability to support the parking planning and design needs of municipalities and parking authorities, colleges and universities, healthcare institutions, transit agencies, and more. Since our beginning, TimHaahs has worked with our clients to create the most effective solutions to their parking needs. The addition of Casey Jones enhances our ability to help lead our clients into the future, helping them navigate a rapidly changing landscape, and guiding them in the areas of access and mobility, technology, operations, sustainability, and strategic planning, and how each of these components plays a significant role in the management of a comprehensive parking and transportation network. Prior to joining TimHaahs, Casey served as Vice President of Municipal Services for SP Plus. 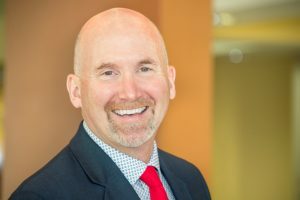 He also previously served as Executive Director of Transportation for Boise State University, Transportation Director at the University of Colorado, and General Manager of Smart Park for the City of Portland.